An exquisite ball pen with its barrel made from bamboo giving it an all-natural colour and style. 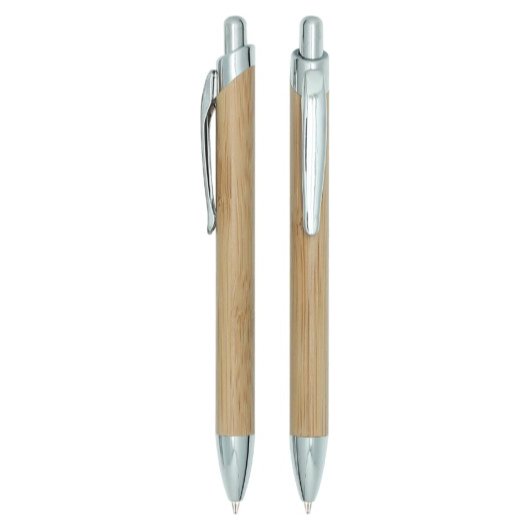 Bamboo ball pen made from bamboo wood to minimise its environmental impact and offers a sustainable writing utensil. Its stylish look will surely make your friends and clients to want one as well. 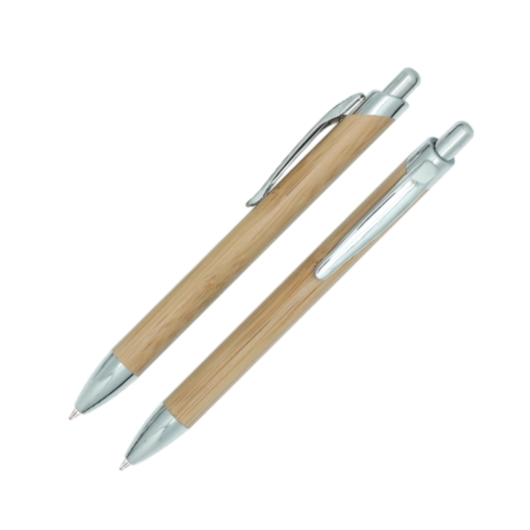 Its smooth flowing 1.00mm Parker refill German Dokumental black 0232, T.C.NIB., creates sharp, solid lines and dries quickly to ensure your writing is consistent and legible. The German Dokumental ink has a extended writing length of 1,800 meters. It also features click action to easily retract the point for convenience.